And it would even smell of chocolate! Oh the torture! A noun. A person who offers imaginary food or illusory benefits. E18. B attrib. or as adjective. Illusory, unreal; offering imaginary food food or illusory benefits. 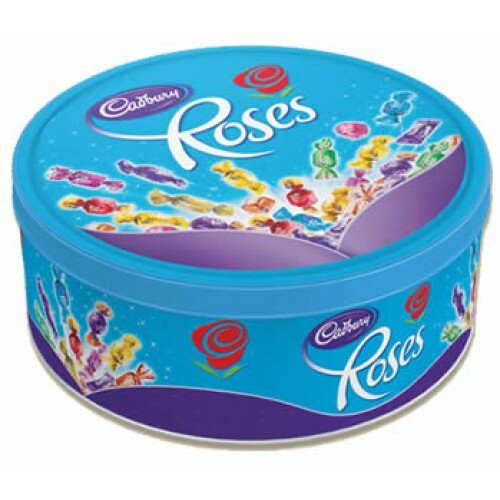 As a child, I don't have many more poignant a memory than when I would find a tin of Cadbury Roses secreted somewhere in the house, only to open it and find it full of buttons. I think my Mum did it on purpose; one day I'll learn to trust again. That's oddly poignant for me too. Whenever I went looking for a button I ended up with a slightly squashed fudge. So actually, you could say "he's a barmicide" (definition A). Somehow, that sounds weird. A bit like a sea creature. Or like it would work better in the sentence "he commited barmicide". See, much better. Heh, guess what I just realised? My last blogpost has your name in the title. I know I'm slow, but it made me laugh so hard and I thought you just HAD to know. Barmecide is an odd sounding word. In Britain, 'barmy' means mad or a bit crazy, so 'barmecide' sounds a bit like the killing of a mad person.